The Rocket Track squad missed the majority of the school day for a trip up to Coffeyville to compete in the 4A regional meet. Finishers in the top placings would advance onto state at Wichita State University. 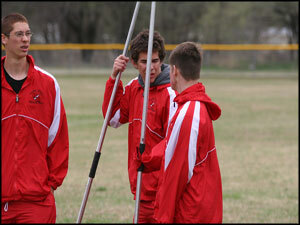 Jacob Sooter has been a key factor at javelin lately, and he performed well in the field. With an oustanding throw of 173.8 feet, Sooter would finish 1st in the Regional Tournament. "Everything just came together on that throw" said Sooter "It's a great feeling." Sooter would be the only Rocket to advance onto state, but the rest of the squad had a great season with a lot of personal records. The seniors include: Justin Weihe, Emily Jones, and Meredith Belnap. 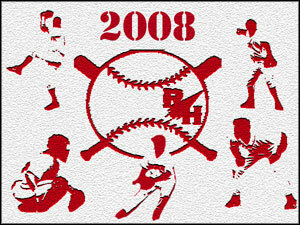 Those seniors will be missed as they contributed great leadership in the 2008 season. Coming into Regionals as a 7 seed, there were many people that doubted the Rockets chances at a state bid. However, the team was determined to prove critics and doubters wrong as they shut out Augusta 8-0 in the semi-final game led by Sophmore Garrett Mitchell on the mound. With a win over the Orioles, the Rockets would be set up against the number one seeded Andover Central Jaguars, who had only 1 loss on the season and were state ranked number 1 in 4A. With the score tied 4-4 most of the game, the road to state was within reach. Senior Chase Ozbun came up big with a two-run double for the go ahead runs. Junior Zack Kretsch has been a phenomenal pitcher for the Rockets in the post season, and the field had to step up its performance as well. Holding off the Jags until the final inning, the Rockets captured a shocking win over Andover Central 6-5 and are headed to the 4A state tournament. GO ROCKETS! The Softball team had no easy games left on the schedule as they entered the tough Regional Tournament. After beating the 14-6 Mulvane Wildcats, the Ladies were put to the test against the 16-4 Jaguars of Andover Central. Weather conditions were perfect as the Rockets set field against the Jags. Andover Central got off on the right foot and the Rockets couldn't get any bats going. The Rocket season was slipping, but they fought and battled right to the last inning. It just wasn't enough, as Central took a 3-0 lead and would end the Rockets season sooner than they had hoped. Overall the girls have nothing to hold their head on, finishing with a 15-5 record. The Lady Rocket Soccer team had times in the season where they looked outstanding, however they also had times where they looked like they never played before. 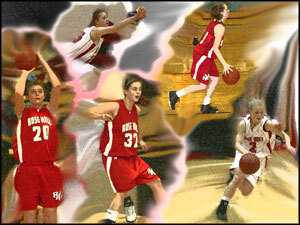 Overall, they ladies built unity throughout the season, and strived in some aspects of the game. Their record was slightly below even, playing some tough teams during the season. With one tie on the year, the Rockets showed endurance during that game against Andover Central. Throughout both overtimes the ladies fought and battled and refused to back down letting the game end in a draw. The Seniors took the leadership positions and will be missed in the upcoming year. Those Seniors include: Same Duque, Lauren Frey, and Yosephine Gunawan. The Ladies will look to improve for next years greatly anticipated season. The Lady Rocket girls came into the season with their goals set high. After winning their first four games and bringing home the Pre-Season Tournament trophy the Rockets seemed to be started on the right track. With the two seniors out for the first half of the season the Rockets relied on their young players to step in and get the job done. With Emily Jones and Joy Hathaway back in the flow of things, the Rockets gained leadership and we're playing well together. With Sub-State around the corner, the Rockets would be the 2nd seed with a 16-3 record. They ladies had an oustanding comeback in the Sub-State semi's, but would fall short to the undeafeated Andover Central Jaguars. The ladies have nothing to hang their heads on as they finished with a great season. Seniors, Joy Hathaway and Emily Jones will be missed and their leadership roles must be filled in next years season. Returning no starters from last years 19-3 League Champs, the Rockets came into the season young and inexperienced. The Rockets would have a roller coaster season full of its ups and downs, winning the pre-season tournament sparked some energy and confidence into the young team, but then the morale would fall during the Halstead tournament finishing 6th place. The Rockets finished 3rd in the AVCTL div. III with a 6-4 league record, and ended 11-11 on the season. Graduating two seniors, Chase Ozbun and Blaize Foltz, the Rockets will need help from someone willing to step up and fill the spots. 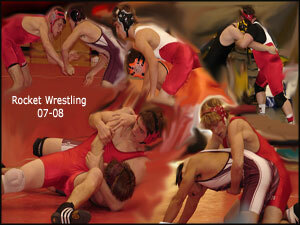 Ozbun and Foltz contributed greatly to the team and will be missed in the upcoming 08-09 season. After last years 2nd place finish in class 4A state, there was a lot of lost ground to fill. The Rockets stepped up their training to try and reach the ultimate goal, State Championship. The Rockets wouldn't quite conquer the State Tournament, but they sent four wrestlers to compete. Ryan Anderson, Kyle Smith, Brenton Daniel, and Zac Sparr were among the many competitors in the 4A Kansas Wrestling tournament in Salina. Brenton Daniel placed 6th and Zac Sparr finished 2nd. The Rockets had an overall good season with help of their senior captains: Ryan Anderson, Brenton Daniel, Kyle Smith, and Trey Ellington. Their effort and leadership will be greatly missed as underclassmen will now need to step up and fill their empty role. Following the State runner-up finish in 2004, a 9-2 Regional runner-up finish in 2005, and last years 10-2 sectional runner-up team, the Rockets had some big shoes to fill. We all expected the same from this years 2007 team, but that would not be the case as they finished with an uncharacteristic 4-6 record. Despite their record, the Rockets came together when the going got tough and still clinched a playoff spot. The Rockets would fall early in the playoffs to 9-0 Mulvane in Bi-Districts. The Rockets senior class stepped up their game and did all they could during their final season and they will be missed. As for next year, the future looks bright with a lot of experienced juniors and underclassmen who will work hard during the off season to return the program back to the level that we have become accustomed to in the recent past. 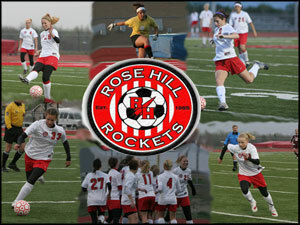 The Rose Hill soccer team had mixed feelings coming into the 2007 season. 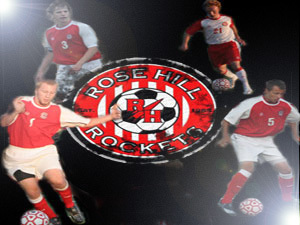 The Rockets, coming off a down year last season, tried to bring back the winning that Rose Hill soccer has made its name for. The Rockets battled all season with their opponents and made big plays when needed to. It just wasn't ever quite enough to rally them on through the post season. 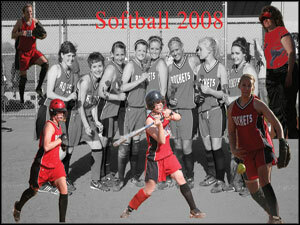 The Rockets ended the 2007 season with a 10-8 record while losing to Andover in Districts. 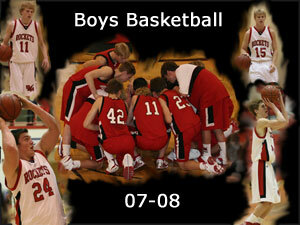 The Seniors gave a valiant effort and will be missed in the 2008 season. The Seniors include: Brandon Smith, Matt Pemerick, Brandon Penland, Nathan Caddell, Mathias Crook, Brandon Cox, Tim Lawrie, Keaton Miller, and John Eskeli. 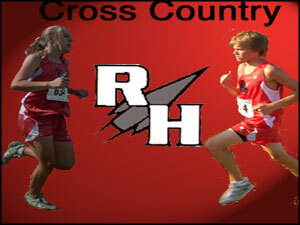 The Rocket Cross Country team set high standards for the 2007 season. "My goal coming into the season was to make it to state for the 3rd time" said Junior Elise Terrell. Her goal would be fulfilled as she qualified for the State meet in Wamego after running a 16:46 4K in Regionals. At State, Elise was disapointed with not medaling finishing 27th in the 4K. Elise and the Cross Country team have nothing to hang their heads on as the competed with much effort throughout the season. The Rockets will be in good shape for next year, graduating no Seniors. The Cross Country team needs to stay heathly during the offseason to try and bring more Rockets to the State meet in 2008. The Volleyball team ended their season earlier than they had planned for. The ladies had a good season with a lot of talent but failed to advance on into Sub-State with a hard fought loss to Clearwater. The Rockets have nothing to hang their head on as they had a tremendous season with a lot of big wins, one including the close win over Circle. The Seniors will be missed greatly as they played a major roll in the successfull season. The Seniors include: Hannah Hodges, Courtney McCune, Michelle O'Dell, Jenna Engles, Joy Hathaway, and Emily Jones. 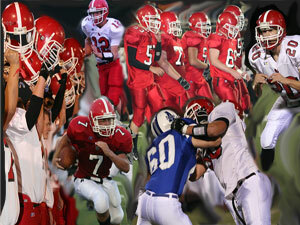 The underclassmen will have to work hard over the off-season and step up to lead next years team to great success. The Rockets finish their season with a record of 26-11.